Install Facebook Official WordPress Plugin on your blog or website and Go Social. Post to an Author’s Facebook Timeline page as soon as Author publishes an article. Mention Facebook friends and pages and share on friend’s Facebook wall. This plugin can also post all articles to specific Facebook Page. Recommendations bar and much more. How to Download and Install Plugin. Click here to Download this plugin from WordPress Site. Upload this plugin to Plugins -> Add New -> Upload and upload the file. Or Goto WP admin->plugin->Add new -> in search box type Facebook, select the first result and install. Click on Activate the plugin, then a new menu item Facebook will be visible on left admin panel below settings. In order to use these fully integrated plugin, you need to create a Facebook app for your Website. To create Facebook app click here. Once you created your app add the App ID, App Secret, App namespace as shown below. 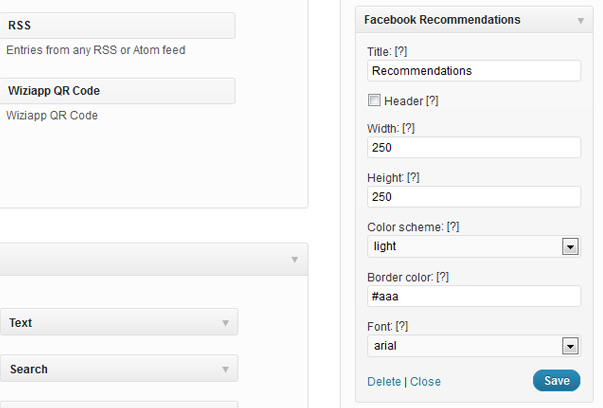 Adjust the setting as per your need from the Facebook menu in admin panel. Check on boxes you need on your widget. Now last step is to add widgets to your website using Appearance -> widget.You will find various Facebook widget on the appearance menu. Add to your WordPress website as per your need. 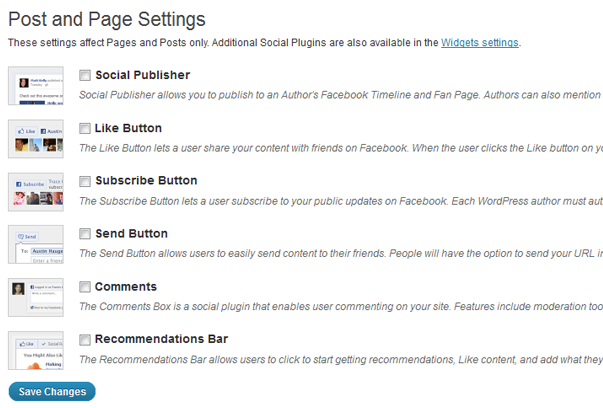 This Facebook plugin offers various widgets. It also includes Facebook insight which shows analytic. It also has Facebook comment box after each post, which I like most. Overall this Plugin is awesome. I simply want to say I am very new to blogging and definitely savored your page. More than likely I’m likely to bookmark your blog . You amazingly come with awesome stories. Bless you for sharing with us your website.